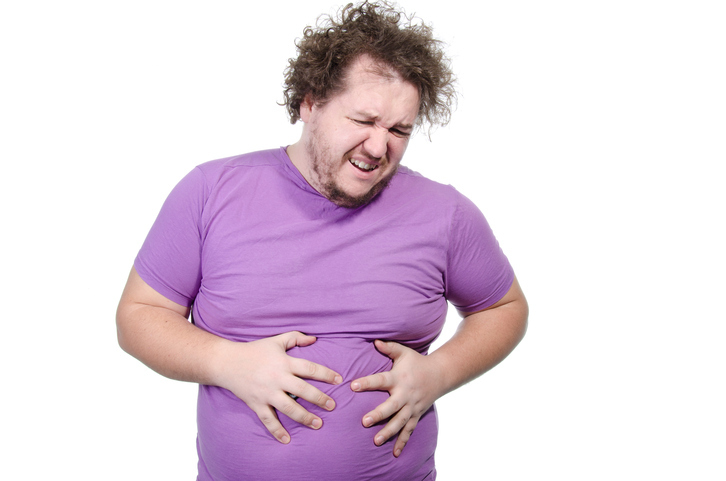 If your stomach bloats, it can be really uncomfortable. To bloat means ‘to expand or distend’ and also ‘to become swollen.’ Figuratively, to bloat means ‘to make vain or conceited.’ As a noun, in US English, a bloat is a person or thing that is bloated, and figuratively, a wasteful use of space, or a useless person, though the last sense is no longer common. In veterinary medicine, bloat is a disease found in cattle, horses, and sheep. The huge meal bloated the guests' bellies. George's face was bloating alarmingly. The promotion has bloated Karen's ego. All those fake reviews people are paid to write create a bloat on the website; it's impossible to know which products are actually any good! The cow was suffering with bloat. It contains lots of different group names for animals, including a bloat of hippopotami. A bloater is a herring cured by being salted and briefly smoked and dried, and to cure a herring in that way is another meaning of the verb to bloat.